After six thousand years of hype, speculation and anticipation the very first Tesla Model 3 owners have finally taken delivery of their vehicles. Fans are already calling the event a “historic landmark,” and while I’m not sure we need to go that far, it’s certainly an interesting moment in automobiles. 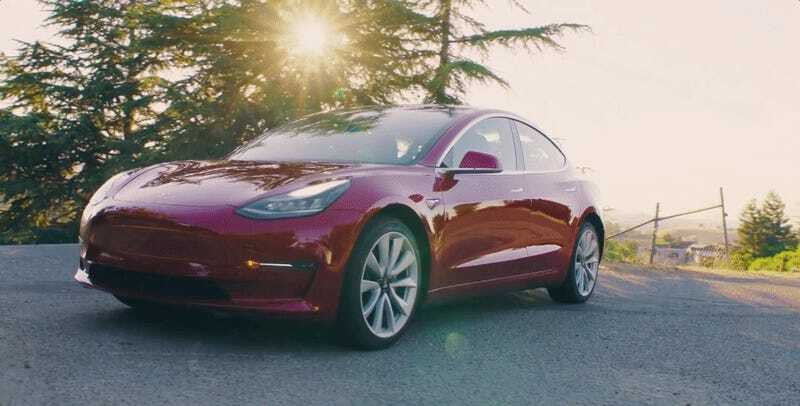 As you’ve probably heard, the Model 3 is the “everyman Tesla”, a five-passenger sedan with tentative specs that include a 215-mile range, a sub 6-second 0 to 60 time, hardware for autopilot autonomous operation, supercharging capability, and a price point of $35,000. And as you may recall, Tesla whipped up a nice little money grab and marketing move in one fell swoop by offering Model 3 pre-orders for refundable $1,000 deposits to anybody who wanted one back in the spring of 2016 . Right around the same time, drivable prototypes of the vehicle were trotted out for the press (myself included) and the company’s stock prices soared. But since then, customers and hopefuls haven’t had much luck getting their big question answered: “Where are our cars, Elon?” As of earlier this week, all anybody outside the company seems to know is that mass-distribution probably isn’t happening until 2018. As to that pesky question of when the “everypeople” this car is supposedly designed for will actually be getting it, Musk didn’t offer much beyond “Fall 2017,” his condolences and a plea to “keep going through hell” with him. Production hell, that is. Musk mused that the facility would be turnout out “half a million” Model 3s and 100,000 Model Ss and Xs, but did not specify a timetable. He did detail that the Model 3 uses “10,000 unique parts” and indicated that his supply chain was complex, which, sure. Any car construction operation takes a lot of logistical legwork. Basically, Tesla is “building [Model 3s] as fast as we can,” but as a consolation prize, Musk did claim that by the end of next year there will be “three times as many superchargers as there are today.” though he did not specify where. 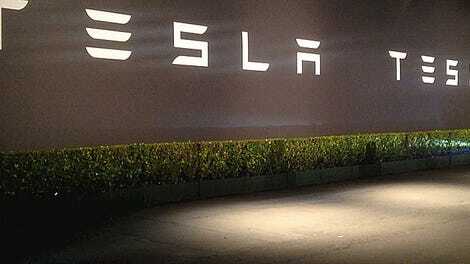 Tesla has been coy about letting journalists drive the Model 3 in its current state, we certainly haven’t been invited, but Leilani Münter says the Model 3 is “FABULOUS”. So it’s got that going for it, which is nice. Too bad the plate "T3SLA" is assuredly already taken.